Hope you are all well! As many of you will already know, Cyber Week is here and the hype is real! The sales have started already in the build-up to Black Friday and Cyber Monday and there are some really good bargains to be had across lots of online stores. It’s the perfect opportunity to stock up on gifts or to get your wardrobe sorted for party season! Disclaimer - Some of the links in this blog post are affiliate links with RewardStyle, I earn a small amount of commissions from the programme but it doesn't cost you anything else to shop through my links. I just love to share some of my favourite pieces with you all. Have a look through some of the best buys on offer as well as some top picks from the websites that have Cyber Week sale codes at the moment. I will continue to add pieces I find & love throughout the sales. Grab a cuppa and relax, spend some time browsing the sale and get ready to add to cart! See a full list of discount codes at the end of this post. 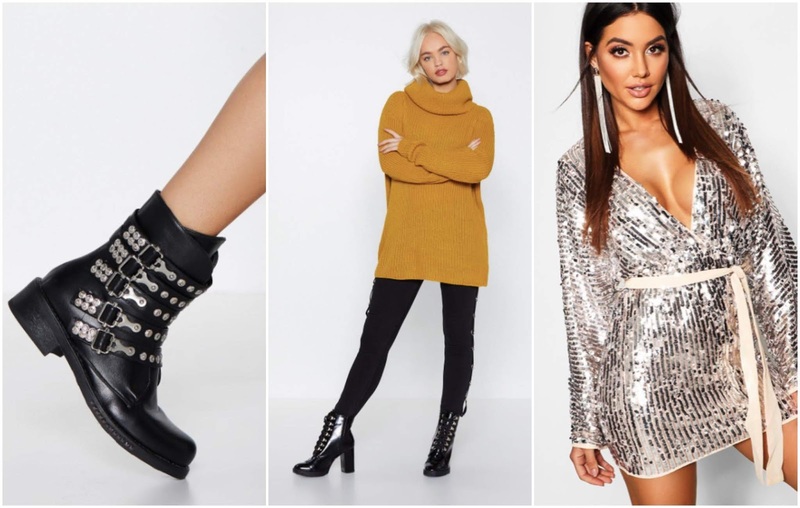 Boohoo currently has a 30% off section which has some really fab pieces some of the best picks are below but have a look through the whole section HERE. Use the code: DROPPIN to get 25% off over on Missguided (applies at checkout on any item), have a look through everything HERE. There’s a whopping 50% off absolutely everything on Nasty Gal which is AMAZING! Seriously don’t miss this one, from casual clothes to glam they have some of the nicest bits. SEE IT ALL HERE. If you are searching for something glam River Island has 30% off some partywear in a Black Friday warm up. See the full sale selection HERE. Topshop has a fab glam sale section at the moment with some party season treats on offer. Check out the whole sale HERE. Check out the deals in H&M deals from jeans to dresses there are some amazing pieces. See the whole sale HERE. This is also the perfect time to stock up on your must have beauty items on some well known sites with deals on popular brands. Beauty Bay has a discount on Stila eyeshadows which we all know and love. T&C: From 19th - 26th November, daily changing promotions.